British official Air Ministry photograph. Approximately 26 x 20cm. 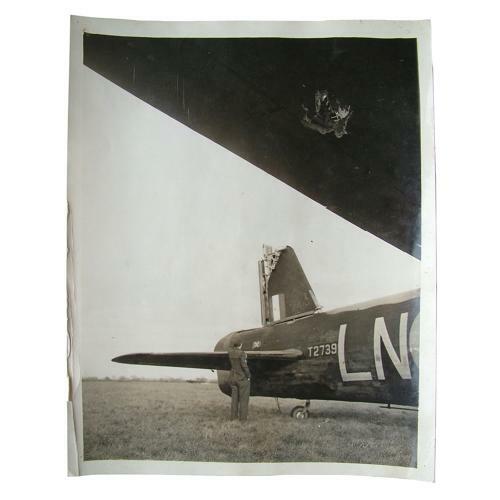 Shows the 'scars of battle on a British bomber's wing and tail. An attacking Nazi night fighter was shot down over Germany by the Wellington's rear gunner'. Pin holes at the corners and some edge creasing but generally good. Glue/paper residues to rear as removed from an album at some stage. Captioned to rear. Stock code P22873-83.